Donald Trump was sworn in on Friday as the 45th president of the United States. Thousands gathered at the capital, along with Trump’s family and all living former presidents — except for George H.W. Bush, who is recovering from pneumonia — in a show of solidarity. Others protested the event, including more than 60 House Democrats who refused to attend the swearing-in ceremony. 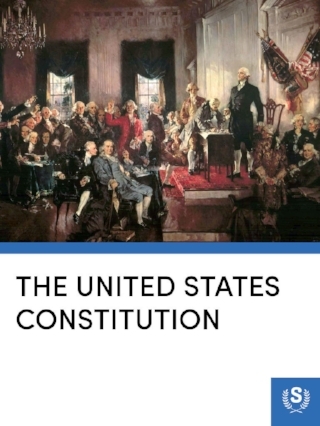 The United States Constitution is the supreme law of the United States of America. There were only seven articles when it was written by our founding fathers, including those that divided the government into three branches: the legislative, consisting of the bicameral Congress; the executive, consisting of the president; and the judicial, consisting of the Supreme Court and other federal courts. For more than 230 years, the Constitution has been the guiding document for American lawmakers and politicians. The First Amendment to the United States Constitution was written to protect the freedom of speech. It ensures that all American citizens have the right to express any opinions without censorship or restraint, and it’s at the core of what it means to be an American. As such, many have taken to the streets in protest of Trump’s inauguration, with the goal of expressing their distrust for the 45th President of the United States. In response, several organizations are offering their support for these protestors.